Spring Has Sprung at Ceja in Carneros! The first tender Chardonnay buds of the growing cycle have emerged from the dormant vines marking the beginning of our growing season! Each bud contains all of the ingredients in tiny forms — shoots, leaves, tendrils and berries, yet to be grapes. As the sap begins to flow, they begin to grow! It's definitely a magical time to be in Napa and Sonoma Valley. We look forward to hosting you at Ceja in the near future. Stay tuned for more 2017 harvest updates! If there’s a way to build it, Pedro Ceja will find it. 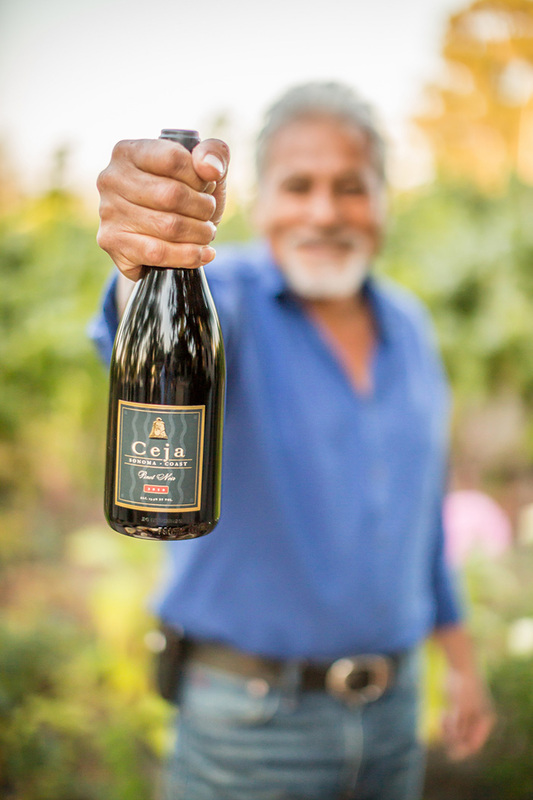 Coming as he did to the Napa Valley at the age of 12 and working with his father—a bracero—Pedro’s heart has always been in Napa’s vineyards and the pursuit to leave a legacy of the Ceja familia. Pedro knows from his work as an engineer that even the simplest product represents a lot of skill and work. He brings a forward-looking practicality and analytical eye to the family’s expanding the Ceja winery plans. “Creating a beach with one grain of sand at a time is a lot of work.” As Pedro unfurls the architect’s rendering of the new winery building that Pedro designed many times in his mind over the years, there’s an understated pride in his explanation of each detail. There’s also a sense that this milestone in the life of the family is only the beginning of a long future that Pedro can already see. Add Some Spice To Your Everyday Life! 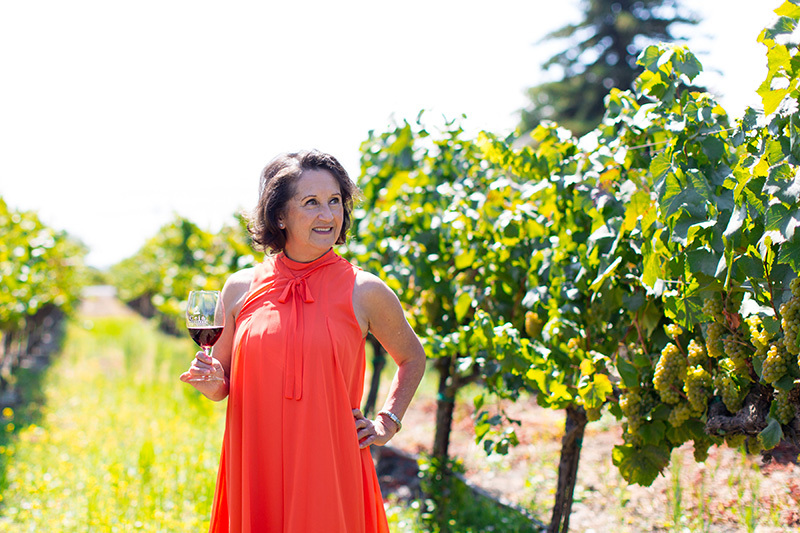 Last week I was honored to share my story with Cru Podcast - Stories from The People Behind the Wine! I had a blast chatting with founder, Chappy Cottrell, about my career, passion projects, family story and much, much more! Amelia’s love affair with food started in Las Flores, Jalisco, Mexico, where she began cooking on her own at the age of eight in the farm kitchen of a strong maternal grandmother. “Mamá Chepa” taught Amelia to cook with fresh, home grown ingredients. When Amelia joined her father, Felipe Morán, in Rutherford in 1967, Amelia threw herself into her new world. On her first weekend in the Napa Valley, Amelia was in the vineyard, harvesting with a knife that seemed half the size of the petite 12-year old. 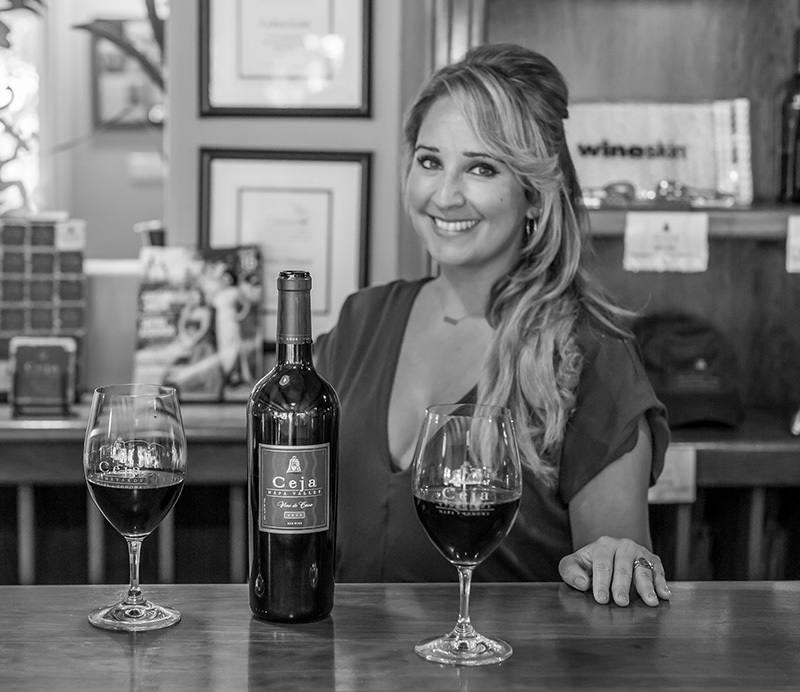 Along with her key roles at Ceja Vineyards, some of her other passions include social justice causes and giving back to the community. She's the recipient of the 2016 Dolores Huerta Farmworker Justice Award and she's honored to share her story as the Keynote Speaker at the upcoming MLK Monday Community Celebration. Join her for a community gathering celebrating the life of Dr. Martin Luther King while continuing his legacy through a day of action and compassion. MLK Monday Community Celebration Event - Everyone is Welcome! His philosophy: “Making wine is more like making preserves than jam,” he says; he favors preserving bright fruit over highly-extracted flavors and high alcohol because it creates wines that stay balanced, youthful and vibrant. Armando made his first wine when he was 17 years old. He jumped at the offer of a free lot of Duckhorn Vineyards Cabernet Sauvignon grapes turning it into his first vintage. 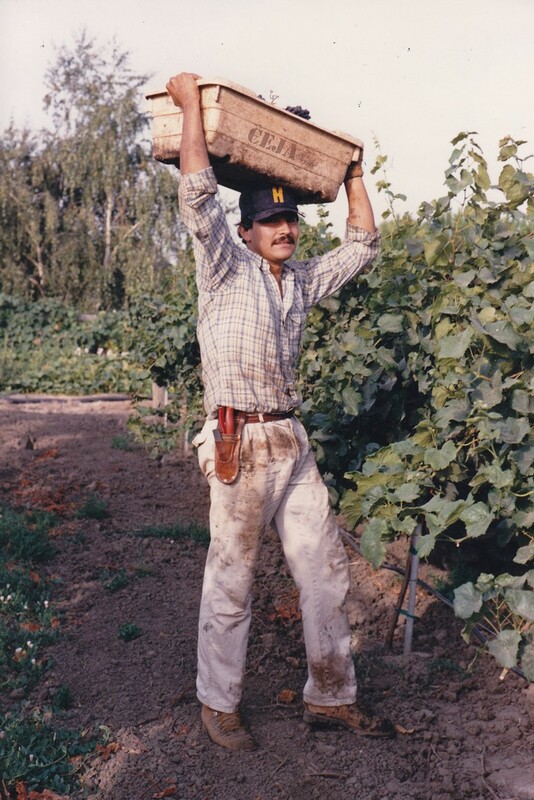 After earning an associate degree in chemistry, he graduated in 1985 from UC Davis with a BS in Enology. From there, he worked at Kenwood Vineyards in both winemaking and vineyard management before joining the management team at the Christian Brothers winery on Mt. Veeder. His experience as a viticulturist and enologist continued to thrive from there. We're featured on NBC Latino's "One Heritage, Two Generations" series! In honor of Hispanic Heritage Month, Amelia and Dalia Ceja were selected to be featured on NBC Latino. We're grateful to our family and friends for the continued support! 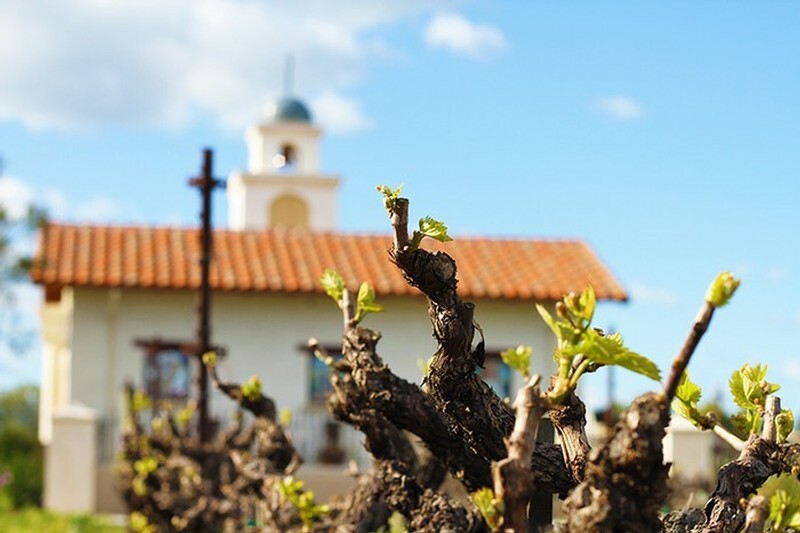 Mission San Francisco Solano has a controversial past that includes grape growing and winemaking. Dalia Ceja highlights the emergence of this landmark. Mission San Francisco Solano was the 21st, last and northernmost mission in Alta California. It was the only mission built in Alta California after Mexico gained independence from Spain. Price Includes complimentary Classic Beverage Package, including wine by the glass, spirits and non-alcoholic beverages valued at $454 per person. 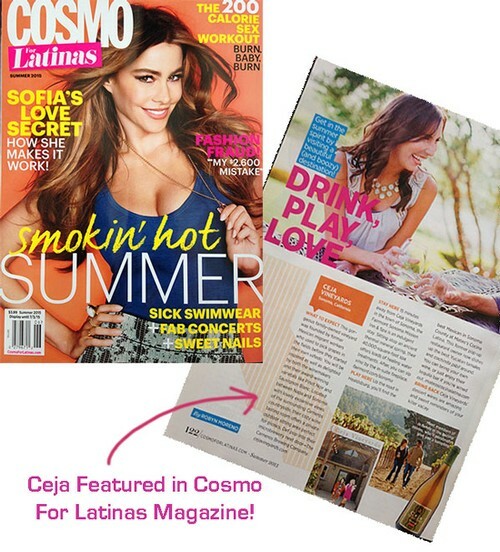 Cosmo For Latinas Magazine Features Ceja! We are over the moon to be featured in Cosmo for Latinas Magazine summer issue featuring Ceja as their top summer wine tasting destination in Sonoma! "This gorgeous family-owned vineyard was founded by former Mexican migrant workers who used to pick grapes in the fields before they started their own vinedo. You will be inspired as well as delighted by both the winemakers and their award winning varietals like Pinot Noir and Sauvignon Blanc..."
The May/June issue with Sofia Vergara is on stands now - pick up a copy today!